Last night’s Doctor Who Pledge a Thon was a rousing success, not just through making the $15,000 that KBTC needs to keep it on the air for the next six months, but the phenomenal support from across the country, New York, Florida and North Carolina for people who will never get to see the show airing in Seattle. But Doctor Who survivies on air at KBTC for the next six months until we come back in June 2011 to do this all over again. In meeting with the KBTC Station Manager, Alternating Reality Books and its Comics Forge holdings have decided to take support for KBTC and Classic Doctor Who one step further. As a sponsor of the TV series on KBTC, you will be seeing a number of new ad slots showing on the PBS station informing, entertaining, and further developing the robust fan base here in Seattle that has kept Classic Doctor Who on the air for 24 years here in the Seattle area. As part of this we will be developing and opening up a new group on Comics Forge to talk about and support KBTC and its efforts, the development of 15 second infomercials about Classic Doctor Who that you can see on Comics Forge and on KBTC, as well as working towards a greater understanding of the important role that comic books have in our socieity. If you watch Sense and Sensibility on KBTC, we know of the Zombie version of Sense and Sensability. Most everything that KBTC shows has a comic book version of the story. 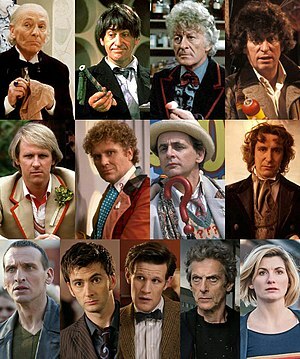 With all the interest in Doctor Who, both new series and old series, this is a winning combination to help bring attention to the long history that Doctor Who has on the air. Doctor Who aired the same year that the owner of Alternating Reality Books was born in, so he has never known a time without the good doctor. Many people have similar problems, we love Doctor Who, but can’t seem to find enough of it, let alone find out support groups like our own Androgums and society of the rusting tardis here in Seattle. This is an exciting new way of reaching audiences globally through facebook, friendfeed, Comics Forge, and other sites to help support our love of Classic Doctor Who. Our goal with this new sponsorship is to inform, entertain, and develop community globally. We welcome you to our new sponsorship alliance, and hope to see you in June at our next Doctor Who Pledge a Thon.